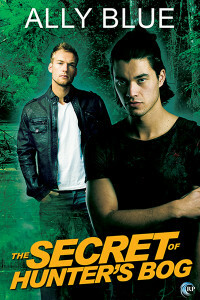 The Secret of Hunter’s Bog is now available in ebook and paperback on the Riptide Publishing website, Amazon, B&N, and all your favorite third party retailers. The blog tour also starts today and runs through this Friday. Stop by and comment on any of the tour stops for a chance to win a full set of my Mojo Mysteries series in the winner’s choice of electronic format. For Koichi McNab, the shop he and his twin sister Kimmy are opening in Hunter’s Bog Mall is a fresh start after their old one burned down. A way to move on. Especially when he meets the hunky owner of the luxury camping goods store next door. Koichi’s never been an outdoorsy guy, but Will Hood just might change his mind. Will came to Southern Alabama to establish his own life away from his big, intrusive family—and in hopes of finding Anthony, the lover who vanished two years ago. But meeting Koichi throws everything off-kilter. Anthony was a long time ago. Koichi’s right here, smart and funny and cute, and Will wants him. As Koichi and Will become friends, then lovers, Will’s past and Koichi’s present tangle into a dangerous knot that brings them face-to-face with secrets, theft, treachery . . . maybe even murder. With their lives on the line, their only way to safety is together. This entry was posted on March 7, 2016, in Uncategorized. Bookmark the permalink. This website is for ADULTS ONLY! If you are under eighteen, go read a John Green book and make your mother happy. Everyone else, feel free to look around. There is much manlove, and it is good. An Inner Darkness (Bay City Paranormal Investigations book 5) – Now Live! Closer (Bay City Paranormal Investigations book 4) is here! Closer (Bay City Paranormal Investigations book 4) now available for pre-order!